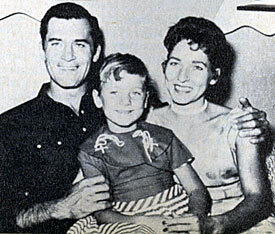 Clint Walker with his then wife Verna and daughter Val. 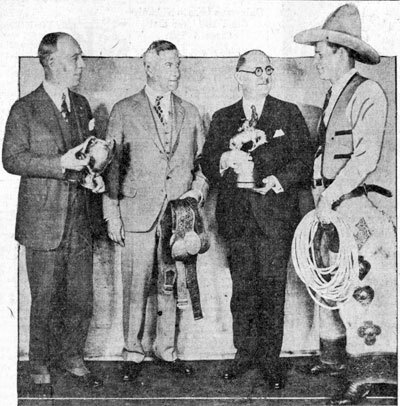 World’s Champion Cowboy Yakima Canutt (right) headlined the World’s Show Sensations sponsored by the Toledo, OH Shrine club in January 1930. 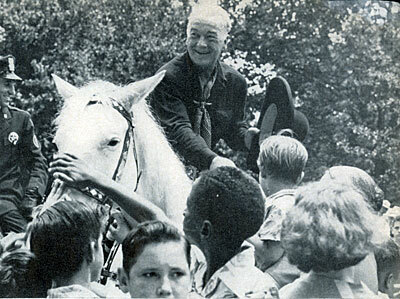 (L-R) Harry Haskell, Ben Groenewold and Mayor William T. Jackson holding some of Yak’s trophies. 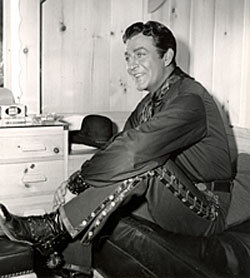 Errol Flynn prepares for one of those phony riding shots in “San Antonio” (‘45 WB). 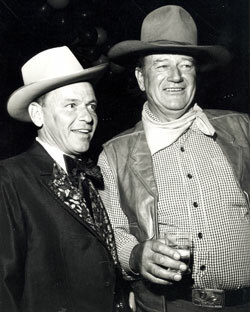 Frank Sinatra and John Wayne attend a SHARE party fundraiser in Beverly Hills. 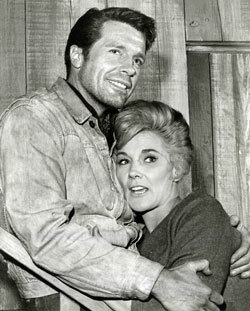 Robert Horton and Jeanne Cooper take a break from making “Survival”, an episode of TV’s “A Man Called Shenandoah”. 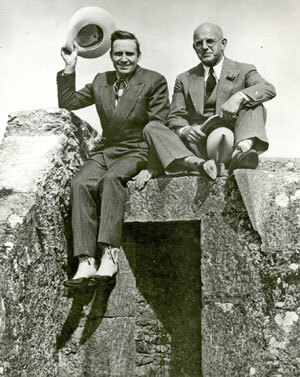 Gene Autry and Republic President Herbert J. Yates sit atop a pillbox in England while Gene was on tour. 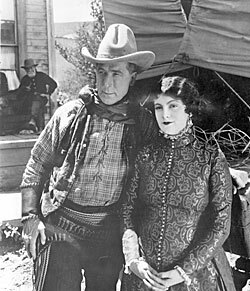 William S. Hart and leading lady Barbara Bedford pose for the camera while making “Tumbleweeds” (‘25). 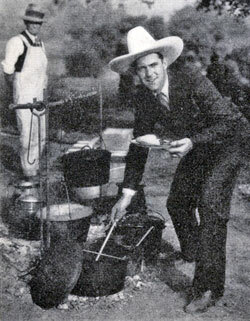 Ken Maynard threw a chuck wagon dinner for 65 celebrities in April of 1930. 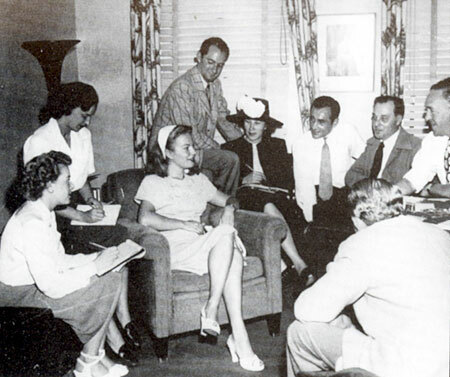 Guests included Bebe Daniels, Virginia Lee, Robert Armstrong, Ben Lyon, Lew Cody, Al Rogell, Alan Hale, Reginald Denny, among others. 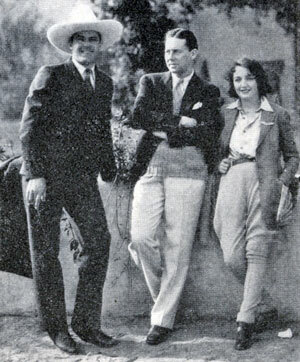 At the chuck wagon dinner: Ken Maynard, Ben Lyon, Bebe Daniels. 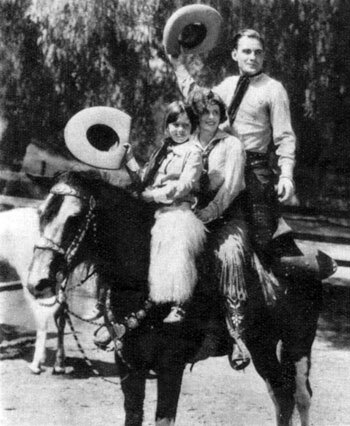 Taken the late ‘20s...Buck Jones with wife Dell and daughter Maxine. 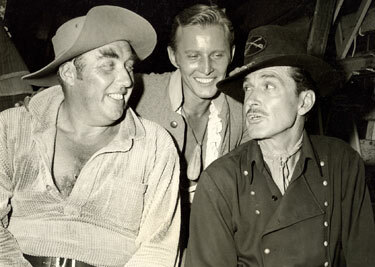 Silver, Buck and Dell share the read of a 1933 copy of MODERN SCREEN. 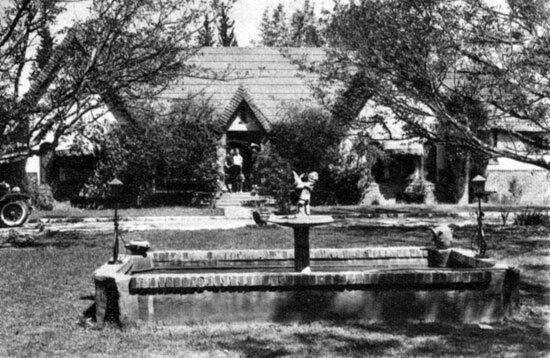 Buck and Dell Jones’ home in 1933. 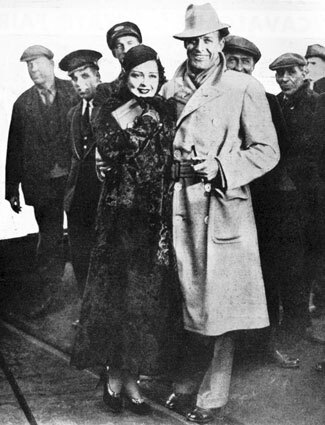 A group of Brits welcome Clara Bow and Rex Bell (Mr. and Mrs.) as they step off the ship in England in early 1933. 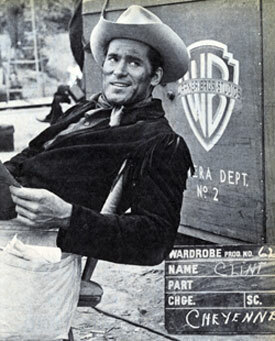 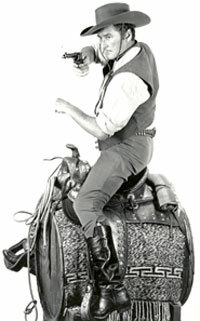 TV’s “Rough Riders”: Peter Whitney as Sgt. 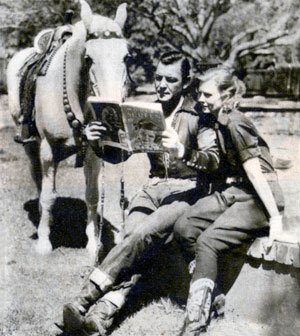 Buck Sinclair, Jan Merlin as Lt. Kirby and Kent Taylor as Captain Flagg. 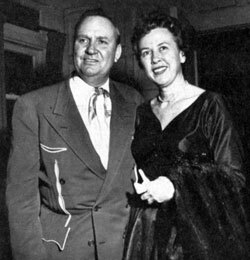 Mr. and Mrs. Autry...Gene and Ina out for dinner at the Mocambo in 1957. 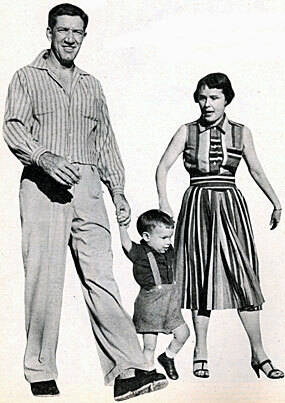 Paladin...Richard Boone with his wife Mary Claire and son Peter in late 1955. 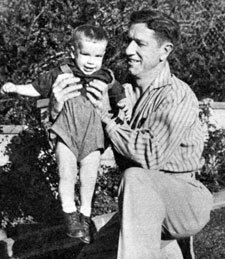 Richard Boone with his son Peter in late 1955 while Boone was starring on “Medic”. 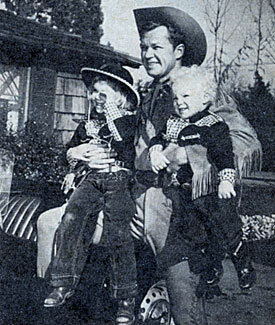 Bill Williams as Kit Carson with daughter Jody and son Billy in late 1955. 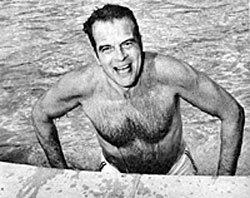 When “Steve Donovan, U.S. Marshal”, Douglas Kennedy, wants to get away from horses he takes a refreshing dip in the pool. 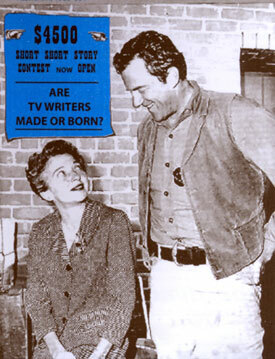 Miller to the press in 1946. 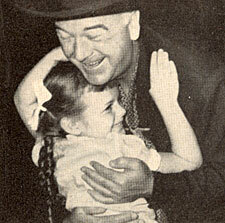 At the height of the Hopalong Cassidy craze on TV in 1949 William Boyd met over 1,000,000 fans of all ages on his nationwide tour which covered 15,000 miles and took him to 26 cities in seven weeks.